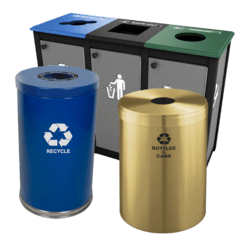 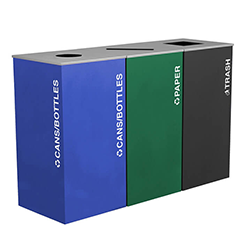 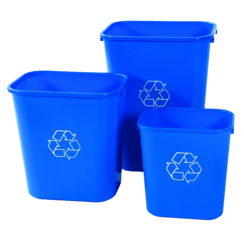 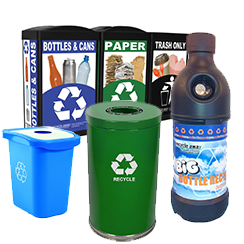 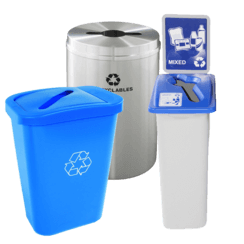 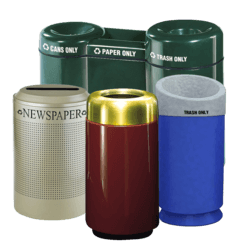 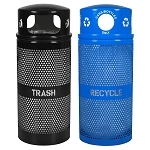 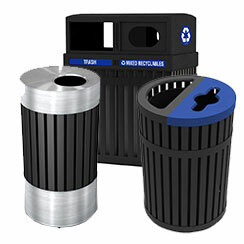 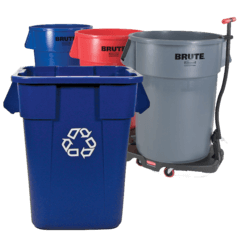 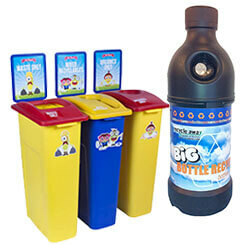 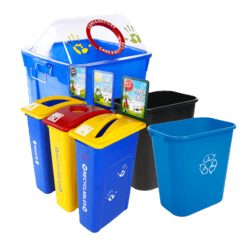 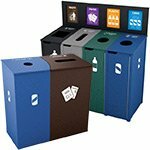 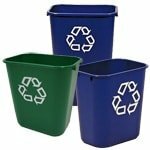 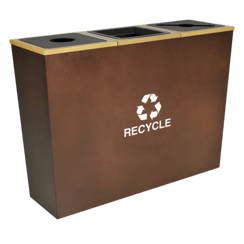 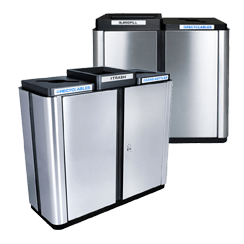 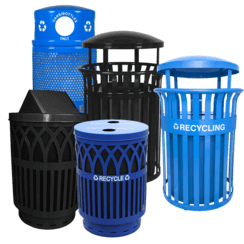 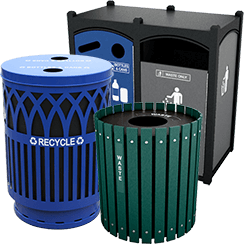 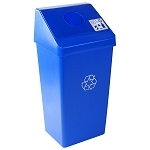 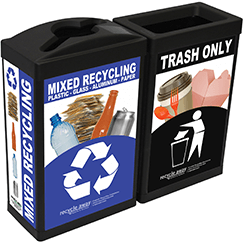 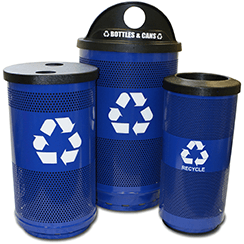 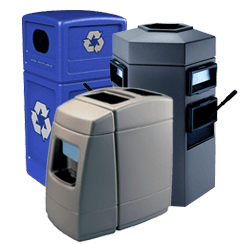 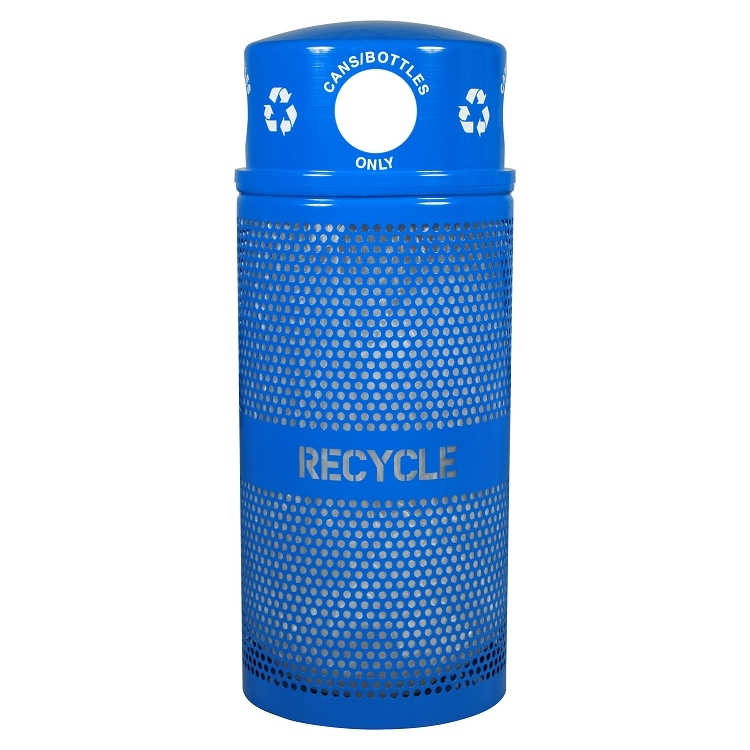 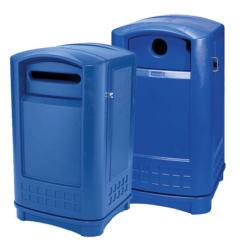 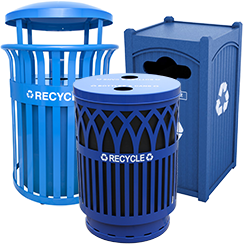 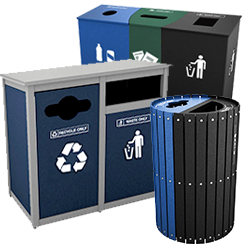 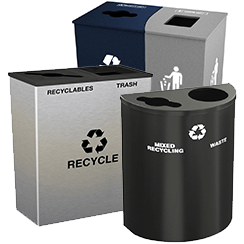 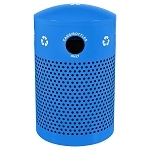 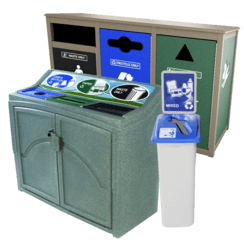 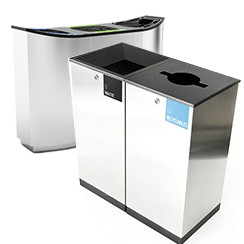 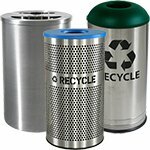 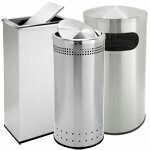 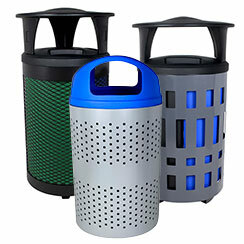 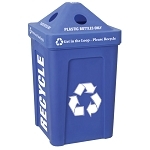 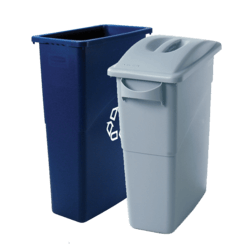 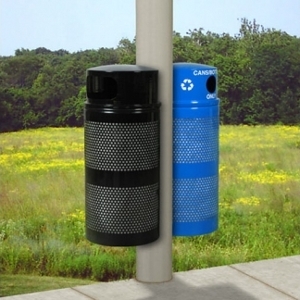 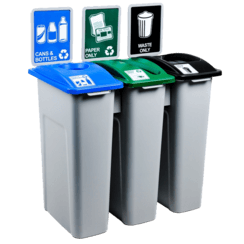 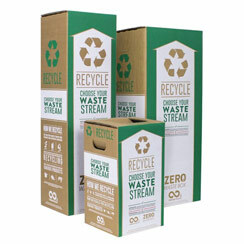 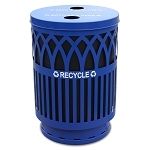 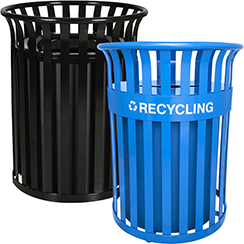 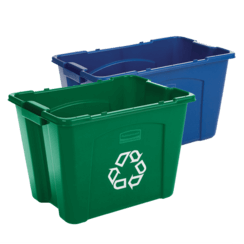 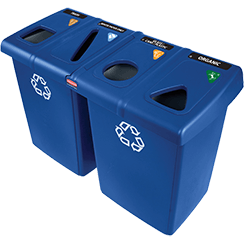 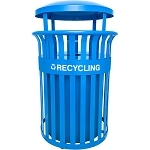 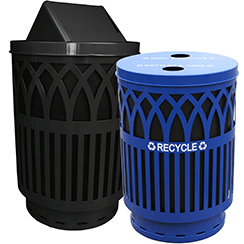 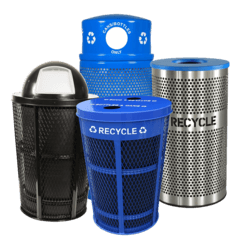 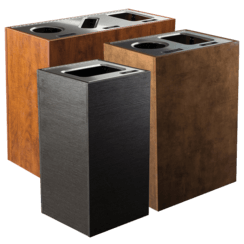 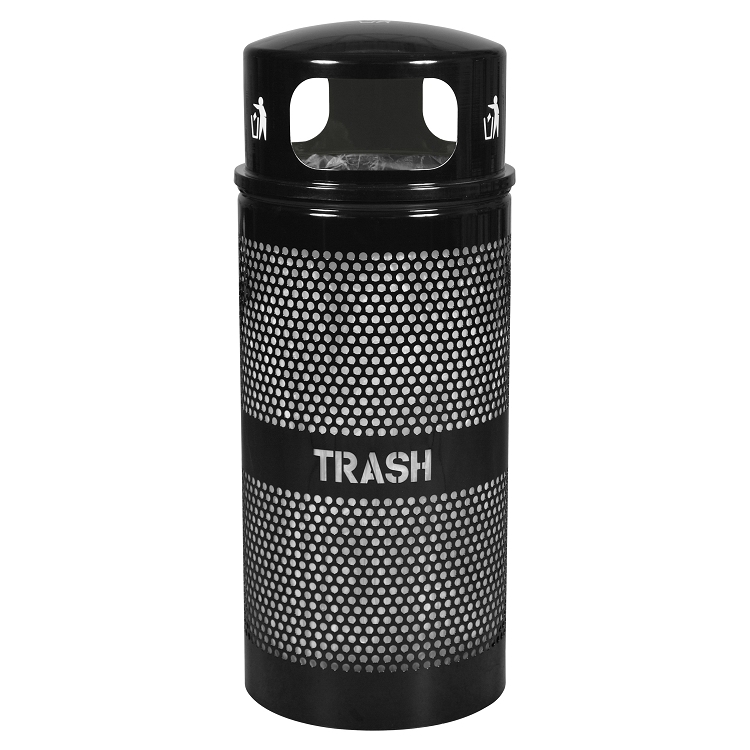 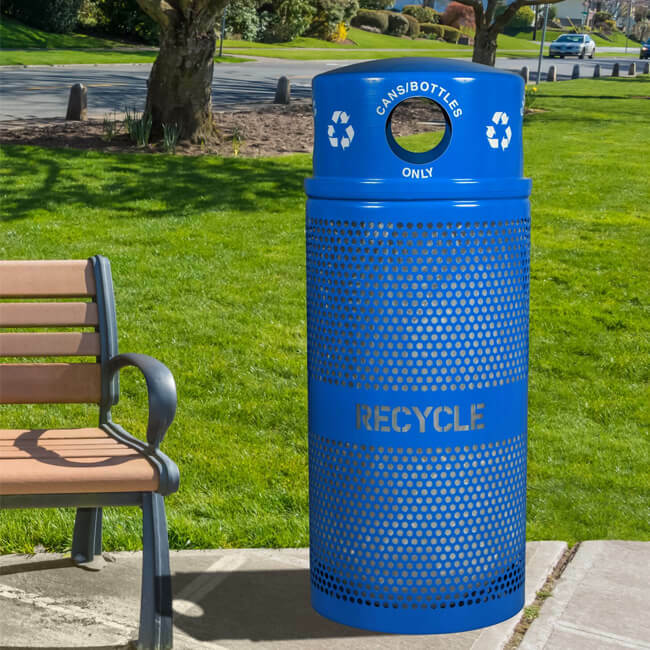 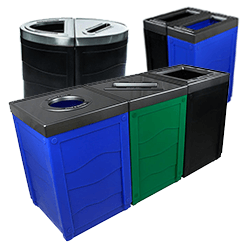 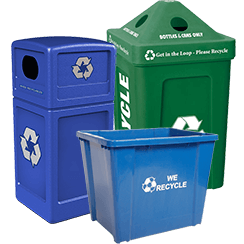 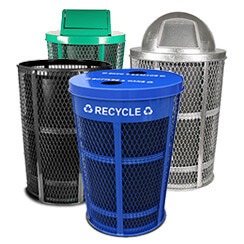 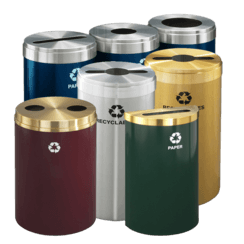 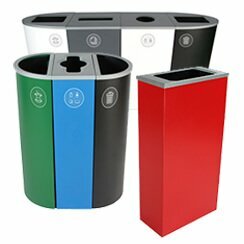 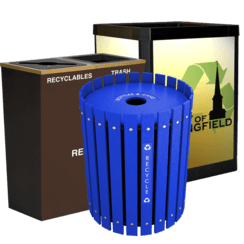 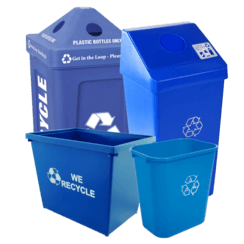 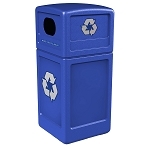 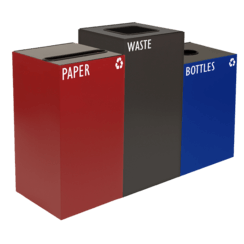 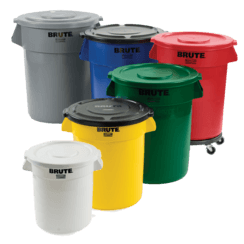 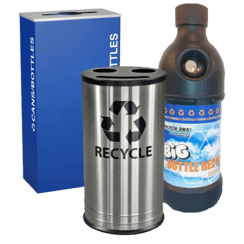 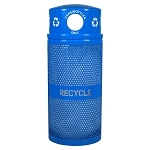 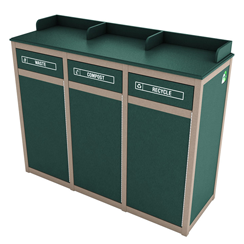 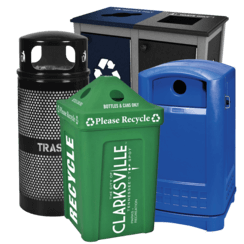 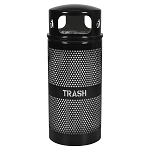 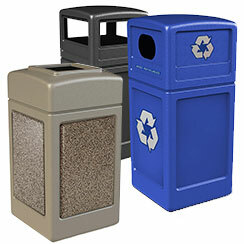 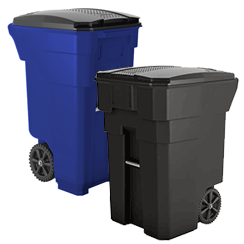 This perforated recycling bin is ideal for any outdoor recycling scenario, including parks, downtowns, and stadiums. 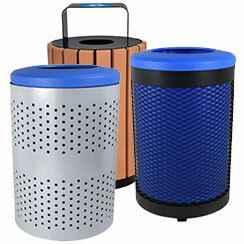 The body and lid are powder coated inside and out in a stunning royal blue color. 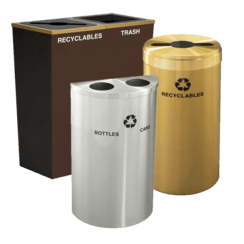 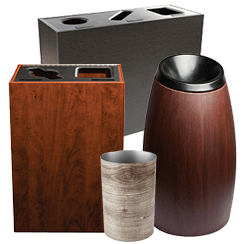 They are also available with matching trash receptacle. 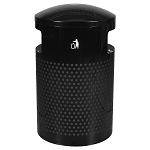 Domed lid is secured to unit with a plastic coated steel cable for maximum security.